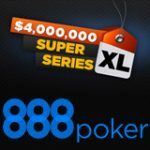 The FullTilt Poker Mini Series of Poker begins on the 28th May and runs until the 4th of July 2010, enter the 57 online MSOP events in the poker series and win your share of a guaranteed $3 million in prize pools plus a chance to win a 2011 WSOP main event seat. 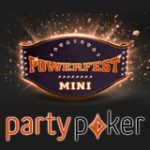 The Mini Poker of Series is a replica of the WSOP schedule which has buy-ins reduced to 1% of the actual World Series of Poker buy-in. Get a 100% bonus matched to your deposit up to $600 at FullTiltPoker. Full Tilt Poker have already awarded more than 650 WSOP 2010 seats in their qualifying tournaments and promotions. If you haven't already won your seat to Vegas this year you can play an online version of the WSOP at Full Tilt Poker. The Mini Series of Poker is FullTilt Pokers online poker series which is based on the actual 2010 WSOP schedule except that the buy-in for each event is reduced to 1% of original World Series of Poker buy-in. 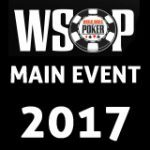 Instead of paying $10,000 for the WSOP main event buy-in the Mini Series main event has a $100 + $9 buy-in. 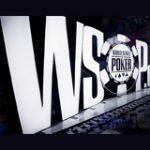 Players can win a seat to the 2011 WSOP main event, there will be a leaderboard running throughout the mini series of poker. 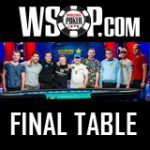 The player who ranks the highest in the MSOP leaderboard will play the 2011 WSOP main event for FREE. *World Series of Poker and WSOP are trademarks of Harrah's License Company, LLC ("Harrahs"). Harrah's does not sponsor or endorse, and is not associated with WinAllPoker.com or FullTiltPoker.com poker promotions or online tournaments.